Amenities at Springs at May Lakes | Apartments & Townhomes with a pet spa! Imagine yourself enjoying a Saturday morning at Springs at May Lakes. You start your day in your gourmet chef-quality kitchen. After you whip up a batch of pancakes using your energy-efficient appliances, you enjoy them outside on your private balcony or patio overlooking the vast Oklahoma landscape. You load up your timesaving dishwasher and wipe down the granite countertops for a quick and simple cleanup. After you throw your clothes in the washer, you slip on your sneakers for a workout. Challenge your muscles on one of the cardio machines or modern weights equipment at the state-of-the-art fitness center. Before you head home to move your laundry to the dryer, stop by the free coffee bar in the clubhouse for an afternoon pick-me-up. 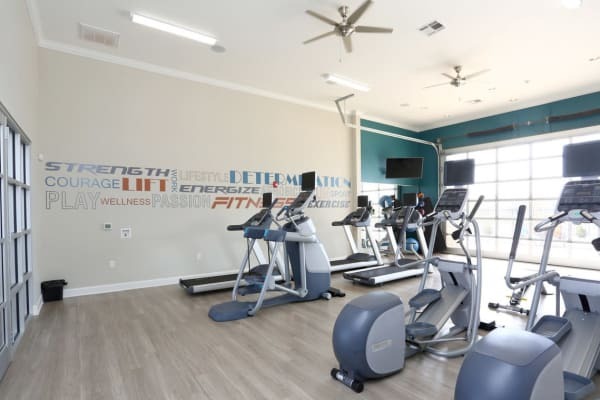 To discover our high-end in-home and community amenities for yourself, call Springs at May Lakes today to set up your tour of our Oklahoma City Apartments for rent.